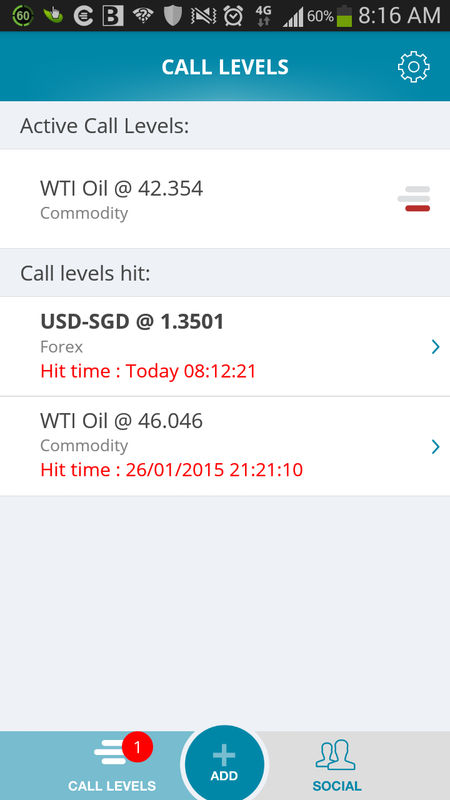 The recent drop in oil prices has caused the market to become volatile again. Oil prices have dropped from a high of $100+ to a low of $40+. That's more than 50% drop so far. Those who drive will notice that petrol prices are cheaper now. Instead of seeing the digit $2/litre, we start to see it at $1+/litre. Crude oil is the most important natural resource of the industrialized nations. It can generate heat, drive machinery and fuel vehicles and air planes. Its components are used to manufacture almost all chemical products, such as plastics, detergents, paints, and even medicines. The drop in oil prices seems good for most of us. Petrol prices become cheaper, electricity will become cheaper also. To know which countries will benefit and which countries will suffer because of the drop in oil price, we have to look into which are exporters or importers of oil. Those countries who import most of their oil will benefit while those countries who export most of their oil will suffer. Right now we're seeing a drop in oil prices but what if the opposite happens? In the early 1970s, oil prices more than doubled from about $4 to $10 and caused chaos in some countries. One such country was Japan. Japan imports almost all of its oil for consumption and they were badly affected. The government even made a statement that their country would run out of oil in 4 days during that time. The whole country had to save electricity by turning off lights on the streets and buildings also shut down every alternate lifts they had. Fast forward 10 years later, from 1980 to 1986, oil prices declined from a high of $39 to a low of $12. 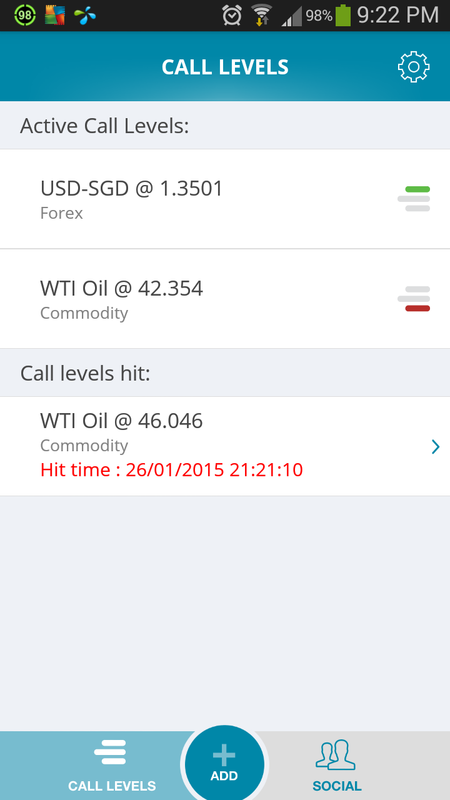 That is a 70% drop in oil price. The rise of Asian economies was evident during the late 1980s and the 1990s as lower oil prices increased industrial production. Saudi Arabia, which is one of the largest exporter of oil, suffered because of the falling oil prices. They did cut their oil production back then but this lead to 16 years of budget deficits that left the country deeply in debt. 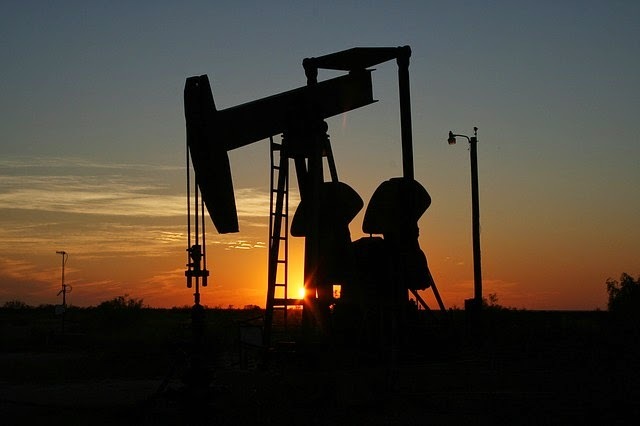 What is happening to oil prices now and how it affects our investments? It seems like history is repeating itself that oil prices have dropped more than 50% now. As investors, we will want to know what is happening so we can better position ourselves in allocating our investment capital. Russia's economy is heavily dependant on oil exports. In fact, oil and gas accounts for 70% of its export income. Russia's currency, the Ruble, has fallen more than 50% against the US dollar. This prompted the central bank to increase rates to 17% in order to limit the negative effects of the depreciating currency. Malaysia derives 30 percent of state income from energy exports. Malaysia currency (Ringgit) has also fallen substantially. Most of us who live in Singapore will know the exchange rate of the Ringgit and a lot of people have went on to exchange more Ringgit to spend in Malaysia. Saudi Arabia has the world's largest crude oil production capacity and is the largest exporter of total petroleum liquid in the world. Recently, the previous king of Saudi Arabia passed away and caused a spike in oil prices as investors bet on a change in the country's policy to reduce production of oil which can lead to an increase in the price of oil again. This is how powerful its production capacity and exports are. Japan is the third largest net importer of oil behind China and the US. Previously, Japan suffered badly when oil prices rose substantially during the 1970s to 1980s. In 1985 when the oil price started to decline and crashing in 1987, Japan still could not recover due to its strong YEN that stalled its economy. Today, Japan has embarked on an aggressive monetary policy, dubbed Abenomics. This has caused their currency to depreciate which lead to a boost in exports. With oil prices falling, this will benefit the country as they can import oil at a cheaper rate. Of course, the depreciating currency will offset some decrease in oil prices but I think overall it should still be good for the Japanese economy. China may be the largest or second largest net importer of oil before or after the US. It was said that the decline in oil prices now is partly due to the decreased demand of oil from China. It is hard to know what exactly is happening in China. Recently, its stock market also slumped more than 7%. That is a scary decline. I'll choose to stay out of any investment in China until I know what is happening. The European Union has been suffering slow growth ever since the sovereign debt crisis in 2012. With the EU importing most of its oil, lower prices will certainly lead to an increase in economic output. India imports 75% of its oil. With its account deficits, lower oil prices will help to ease it. India has also been going through many economic reforms to spur growth. Industries that rely heavily on oil for transportation will benefit from the lower oil prices. Airlines and Shipping industries are two examples of it. Previously, airlines and shipping companies have suffered a prolonged period of slow or even negative growth for the past few years when oil prices were above $100. There may be a turn around soon for these companies. Oil affects all of us and affects the profits of various companies. Having a little knowledge of oil will help us in our investment decisions in times like this. There are also opportunities that we can look out for in the oil and gas industry. Stocks of companies in the oil and gas industry have fallen significantly for the past few weeks. This is a good time to accumulate good companies at undervalued prices. But before you invest in these companies, make sure the company's balance sheet is healthy and they can ride out the tough times. 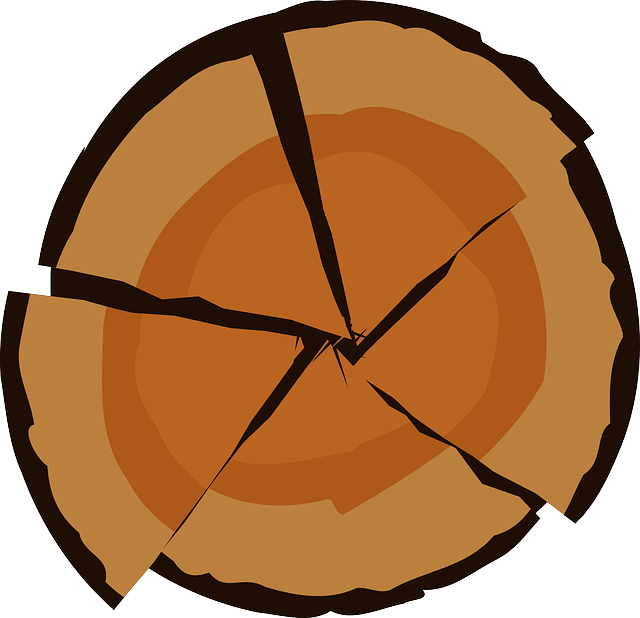 Many companies will go bankrupt during bad times and the few strong ones will emerge out even more successful. Invest wisely and safely. You may have heard advices to save 10% or 20% of your money every month. But, is that enough to grow your money to achieve financial freedom? The average people out there would just be saving 10% of their money or worse still have no savings at the end of the month. If your take home pay is $2000 and you save just 10%, its only $200 per month and $2400 a year. 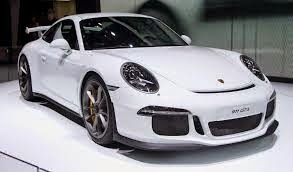 In 10 years time, its only $24,000. That's not a lot assuming you start working at the age of 24 and end up with only $24,000 at the age of 34. If you're good enough to have a take home pay of $3000, saving 10% would only be $36,000 in 10 years time. That doesn't seem like your money is growing fast enough isn't it? What if we bump up the savings to 50%? A 6 figure savings is not difficult if we save 50% of our take home pay. That is assuming that we take home about 2k-3k per month which is on average what most of us would be getting. If your pay is higher, that's good news for you. If it is lower, you may want to consider upgrading your skills to increase your pay. Why record your expenses? The primarily reason is you will see where your money goes to when you review it at the end of the month. This will allow you to cut down on the unnecessary stuff in your life. It'll also allow you to tweak some of your expenses and use creative ways to reduce wastage. Recording your expenses everyday seems like a difficult task to do but with mobile apps now, it is much easier. You just have to key in at the end of the day in your phone while you're on your way home. I personally use an app called expense manager. It's easy to use and you can set your salary to be automatically input in every month. Saving money need not be done manually. I've wrote a few times on setting up an automatic fund transfer to transfer out a portion of your salary once its credited into your bank account. If you've not set up any bank accounts payee to be linked to your existing account yet, start with step 1 below. If not, you can go straight to step 2. Add a new payee to be linked to your existing account. When you log in, you'll see fund transfer at the left hand side of the page. 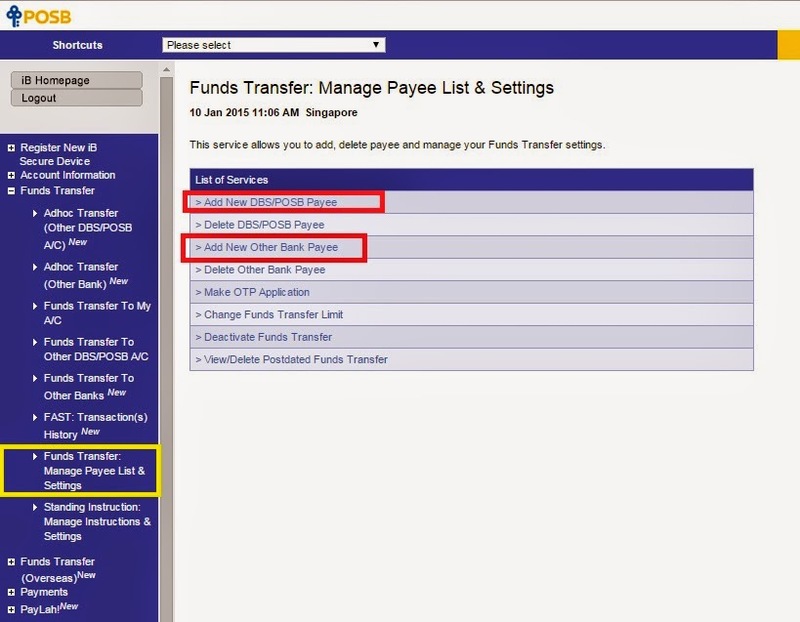 Go to Funds Transfer -> Manage Payee List and Settings. Then, select either Add new DBS/POSB payee if you're going to transfer to another DBS/POSB account or Add New Other Bank Payee if you're going to transfer to an account in another bank. After you're done with the add new payee, on the left side bar, go to Standing Instruction: Manage Instructions & Settings. Follow the instructions and select your debiting account and beneficiary's account. Type in the date you want it to be deducted (ideally 1 day after your salary is paid to you). Under the standing instructions, select the frequency of payment to monthly. There you go, 2 easy steps and your money will be automatically transferred out as savings for you every month. 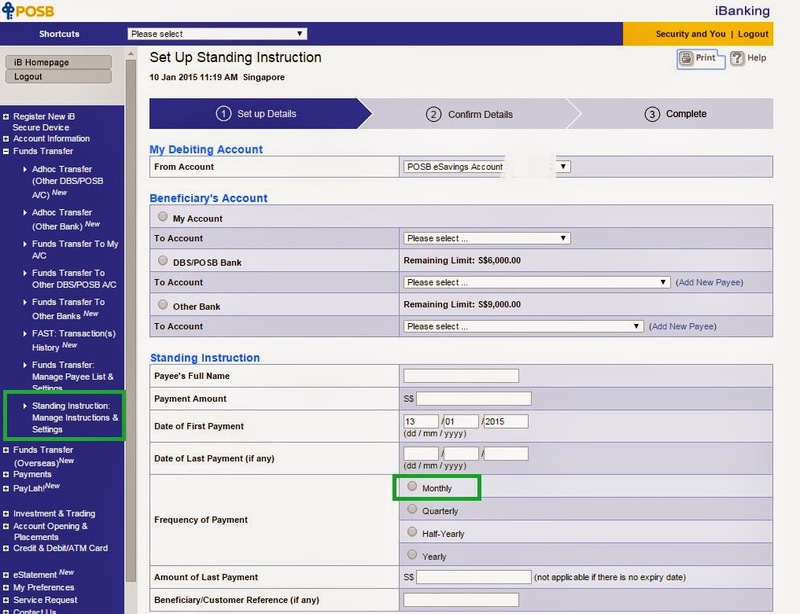 For other banks, I suppose you have to add new payee and set up standing instructions also. Shouldn't be that much of a difference. The good thing about setting up this automatic fund transfer is you can just spend all your money in this bank account without worrying about having no savings at the end of the month. Just remember not to touch the money in the other bank account which you had transferred to. Saving money is important. It is a good habit to have. However, there's a limit to cutting down our expenses. If you're alone and living a pauper life, probably nobody would care about you. But if you got a family with your spouse and kids, or you need to go out for dates, there is a need to spend a certain amount of money. There is some reality we have to face here. In the next round of readers' challenge, look out for ways to increase your income. Stay Tune! Subscribe to my blog by Email or Follow me on Facebook to stay updated on the next post (it's free). 2. 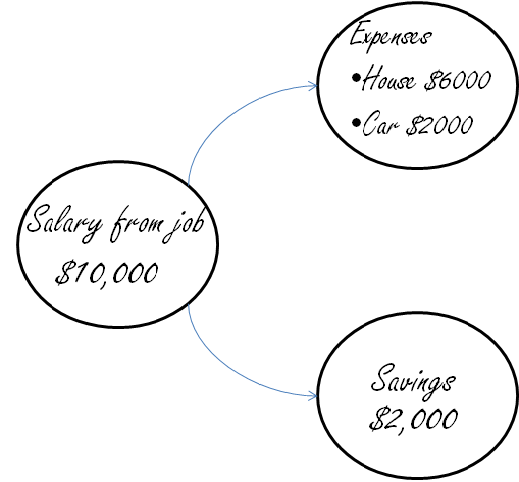 35 and totally broke or $100K savings by age 30? *Latest: Seats are sold out. Thank you for your support! There are so many workshops out there on investing that sometimes it can be hard to know which are the good or the bad? There are also some workshops which charge a very high price but teach very minimal content. I've personally attended a lot of workshops before. Some are free previews while others are paid ones. All of us need to start somewhere and learning from people who are already successful in the world of investment can cut short our learning curve by a great length. S.M.A.R.T investor workshop which is coming soon on the 24th of January brings to you 2 powerful speakers who will teach you all about investing. This event is on a Saturday and is happening conveniently at Suntec Convention Centre. For one whole day, you'll be able to get insights on the market going into 2015, get ideas that'll help you make the right investment analyses and decisions plus learn proven investment strategies that boost your investment returns and let you make money from the stock market. So who are the 2 speakers? The first speaker is Adam Khoo whom most of us are familiar with. Adam Khoo became a self made millionaire by the age of 26 making him one of the youngest millionaires in Singapore. He's also the best selling author of 13 books. 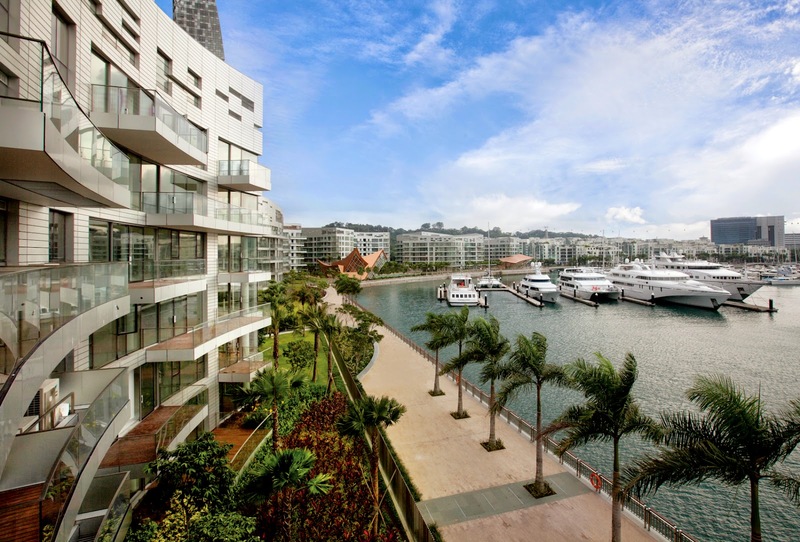 I remembered many years ago when I was just started to get interested in investing, I searched on Google in an effort to find out who the successful millionaires in Singapore are? I saw Adam Khoo's name came up and was inspired by his story of how he became a millionaire by the age of 26. I started reading his books and even attended events where he would be speaking at. 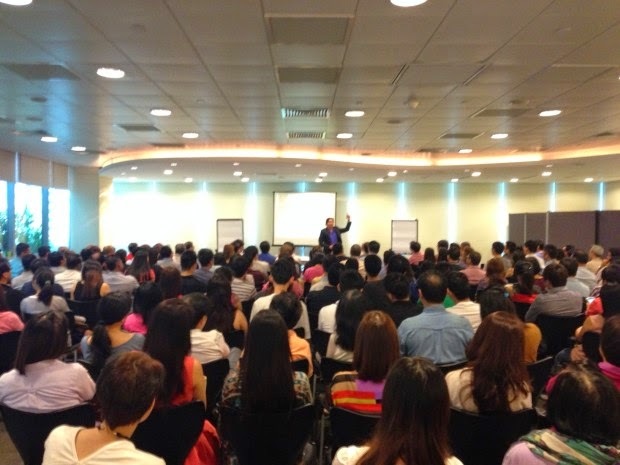 Expo and Suntec were 2 of the common places where I learnt on investments. The second speaker is Victor Chng who's Investor and Co-Founder of The Fifth Person. Victor has been featured multiple times on national radio on 938LIVe MoneyWise for his views and opinions on how to invest successfully in the stock market. The Fifth Person is an investment blog and recently they started giving talks and even had their own online learning course which teaches you everything about investing. I've personally read their blog and the insights they provide is really of good quality. I've also heard Victor speak on radio before and can see that he's very knowledgeable and passionate when it comes to investing. With 2 speakers and one whole day of workshop (9am-6pm), I'm sure you'll be able to learn a lot of stuff from it. Remember it's happening on the 24th of January which is coming very soon. Get your tickets below. Seats are limited so do act fast. You'll get a complimentary book from Adam Khoo as well. People are always searching for something in their lives. They may be searching for a purpose, for love, for friendship, for money, for power and many more. It gets tiring to keep on searching and searching but end up finding nothing. Its like a treasure hunt game where you search for hours upon hours but still cannot find the treasure you're looking for. The search for money is very prevalent once we reach the young adult stage. Its so obvious that people are trying to pull another person down just to be on top in their career. Businessman try to make money while taking advantage of others. Sales people use deceit just to get their commission. I'm sure you've seen this happening all around you. On the other side, you also see people who became rich but they did not search for money as much. Even when they are rich, they still live a simple life just like your neighbour next door. Money doesn't interest them as much. Warren Buffet still lives in his old house he bought 50 years ago. Sergy Brin, co-founder of Google, said he prefers not to leave anything on the plate uneaten and still looks at prices when he buys stuff. Clearly, these people are worth billions of dollars but they still live like how they did before. They did not search for money just to fulfil their material desires of driving luxurious cars and buying branded goods. So how did they become so rich when they did not search for money? Herein lies the secret of the law of attraction. Yes, money can be attracted into our lives instead of us searching for it. Never buy overpriced products. Did you know prices for the same product can cost differently? For example, I can buy the same plane tickets as the one sitting next to me but for half the price. This was what I did for my Taiwan trip. Just $200 for a 2 ways air ticket. You can buy the same house as your neighbour but at a much cheaper price just one year later. You can get the same food as what your friend is eating but at a discounted rate. You can buy the same quality of clothes at half the price. You can watch the same movie at the same cinema but yours is at a cheaper rate or even free with a popcorn. A little everyday adds up to a lot. The best thing is you're still enjoying the same thing as all others but you end up having more money in your pockets. Having said that, we should not just pounce on every discount and end up spending more instead. Spend on what you need and minimize wastage. If you buy too much, it ends up in your storeroom anyway. Be value conscious and you'll realise money sticks to you automatically like you're a magnet. Instead of always wanting to make more money, try shifting your focus to providing value. In your work, contribute ideas as much as you can to improve your company. In business, create the best value for your customers. Money will come as a result of providing value. However, your value is only as important as what others sees it as. If you're working very hard but your boss doesn't see it, there's no value to him. If you create a product for your business but customers don't experience the benefit, its of no value to them. Focus on creating experiences. Put yourself into the shoes of others and know what they want (your boss included). Money is a by-product of the things that we do. We have to take care of it just like how we raise a child. A child grows up healthily because the parents take the effort to sacrifice their sleep to wake up in the middle of the night just to feed her. The parents even sacrifice their entertainment needs just to give the child a better life. Besides growing up healthily physically, a child needs to grow up healthily emotionally also. If a parent thinks the child is evil and naughty, the child grows up to be wayward and rebellious. If a parent thinks the child is smart, the child grows up being smart. Money is like a child. If we manage it well, it grows healthily. If not, it can disappear once and for all. We also have to take note of our mindset towards money. If you think money is evil, it will run away from you just like how a rebellious child run away from home. Relationships are built over time. Trust and respect are important for a relationship to work out well. Make more friends than enemies and your world will be a better place. If you respect people, most likely they will respect you too. If you do good to others, others will do good to you too. There may be exceptional cases so just watch out and you'll be fine. The law of attraction applies not just to money but also to every aspect of our lives. If we're drowned in negativity, we attract all the negative things into our lives. If you're poor now, don't be limited by your situation. Instead of saying its hard to be rich, ask yourself how you can be rich? Set goals and have dreams. After that, be emotionally connected to your dreams. Visualise the life that you want to have. In your mind, see that it has already happened. You'll be surprised that it will happen sometime down the road. It may be months, it may be years but it has happened to a lot of people already. Do you want to be a millionaire? Dream for it! Do you want to be financially free? Visualise it! I shared a video on The secret movie - The law of attraction. It was a good film and I realised that the law of attraction happened in my life also. Read the post and watch the movie to know more about the law of attraction and how it applies to my life. There you go, 4 easy ways to position yourself as a magnet of attraction. Focus on doing the right things and at the right place and the right time, you'll end up attracting all the good things in life for your relationships, your financial life, your career, your family and your business. It doesn't matter if you have got nothing to your name now. It doesn't matter if you're still a young student. All of us have to start somewhere. Start dreaming and acting upon it and one day your dreams will become reality. Sometimes life can get really boring. Let's ask ourselves what have we been doing in our lives so far? Study hard, graduate, start working, earn money, spend money and what's next? What we are focusing on right now will change our lives forever. In this post, we'll explore the 2 different approaches to money and how it will impact us in the future. By the end of this post, you'll be able to differentiate and choose the path which you desire for a better future. Most of us are at this stage. We studied hard to earn our certification, diploma or degree and then land ourself in a job with quite a stable salary to give us a decent life. Some are not so fortunate and earn lesser than others so they have a simpler life. But, for these 2 groups of people, life is actually the same. Both are working and earning money through the exchange of time. The person who earned a higher salary may seem to be living a better life with a bigger house and a bigger car but in fact, he or she is no different from the man who earned a lower salary. Why is this so? It has been reported again and again that Singapore, although being a developed nation, has one of the most unhappy people in the world. Our local newspaper, The Straits Times, reported on 20 December that Singaporeans are not only emotionless but unhappy as well. Singaporeans are apparently less upbeat than the people in places like Iraq, Yemen, Afghanistan and Haiti. This is getting quite ridiculous. In the report, the main reasons cited for the negativity was the competitive culture, work pressure and rising cost of living. Are we focusing on making money so much to the extent we lose our happiness? When we can't earn enough from a salaried job, many people start their own business thinking it will give them more money to have a better future. Some work so hard to make their business successful that they neglect their family. They grow cold with their spouse and their children grow up without the love of a family. Before they realise it, it may have been too late to go back in time. There are also those who think it is easy to earn money from the stock market. Using $1000 to make $10,000? Its becoming a common mindset now. But what is the result? Most people lose money in the stock market, lose their sleep and even their lives. Yes, some people literally commit suicide because they lost too much money from the stock market. Trading in the stock market is also active income. It is a professional job which amateurs should learn the ropes before joining the leagues. Now, you might have realised money is not the source of happiness and sacrificing time for money makes it even worse. Having said that, money is not everything but everything we see around us involves money. It would be foolish to say that money is not important. Most of us climb the corporate ladder to earn a higher pay check. As our salary increases, so does our standard of living. I'm not against living a luxurious life. But did you know most people's luxurious lives are short lived while a small group of people will be rich forever? Once this high income earner loses his job, he still has to pay for the mortgages for his house and car and other miscellaneous expenses. If we assume his savings to be $24,000, it can only last him for a maximum of 3 months. If he cannot find a job within that period, the consequences will be undesirable. The above person is having 80% of his income in debt which is very dangerous. That is why the TDSR was introduced to limit all debts to 60% of your income. For the above example, if debt is limited to 60% of his income, his savings would have doubled and can last him more than 6 months. That is the power of just 20% more savings in a year. You may ask how does the above calculation work out? Assuming the above person is limited by the TDSR of 60%, his debt repayment would only be 6k every month instead of the 8k loan repayment he has now. As such, he would have an extra 2k savings per month which is 24k a year. This brings his total savings to 48k a year which is doubled of his initial savings if he had a 8k loan. That is how with just 20% more savings per month, your savings would have doubled in a year. Fast forward 30 years later at retirement age, this person would have accumulated a savings of $720,000. But without any investment or passive income, the income could only last him 7.5 years if he stops working. We might say he would have finished paying for the house by then so his expenses would have been lower. Even with a lower expense of $5000, his savings over the 30 years would only last 12 years. Imagine working for 30 years and your savings could only last you 7.5 or 12 years. That is what happened to a lot of people who took the make money working for money approach. The second approach is what I call the visionary road. Only those who look far ahead will see it. You'll see how a person who take this road will have money that last him a lifetime. 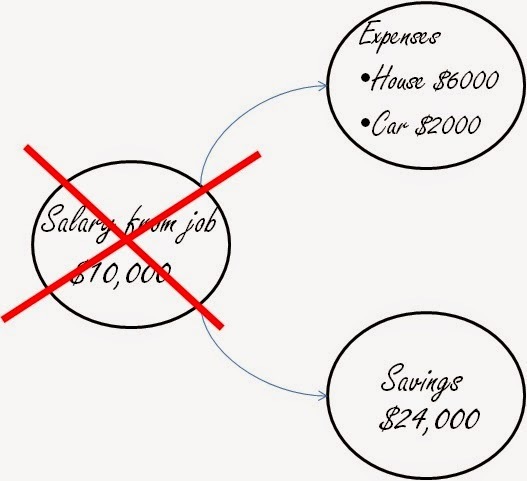 This same person loses his job but because of his low expense and high savings ratio, he manage to accumulate a savings of $100,800 which can last him 50 months. This is approximately 4.2 years. Don't forget because this person focuses on letting money work for him, he has steadily achieved a passive income of $420 per month. The magic happens from here forward. Assuming this person finds another job but earns much lower now than before. He only manage to get a $5000 per month salary. Let's see what happens in 10 years time. In 10 years time, this person, although earning a lesser salary at $5000, managed to accumulate a savings of $553,330 through prudent savings and investment at 5% compounded. What he did was to just to invest, get dividends and reinvest the dividends. Within just 10 years, this person has achieved financial independence with $2305 passive income per month. Even if he loses his job, he still can live normally for the rest of his life. He could even choose not to work any more. 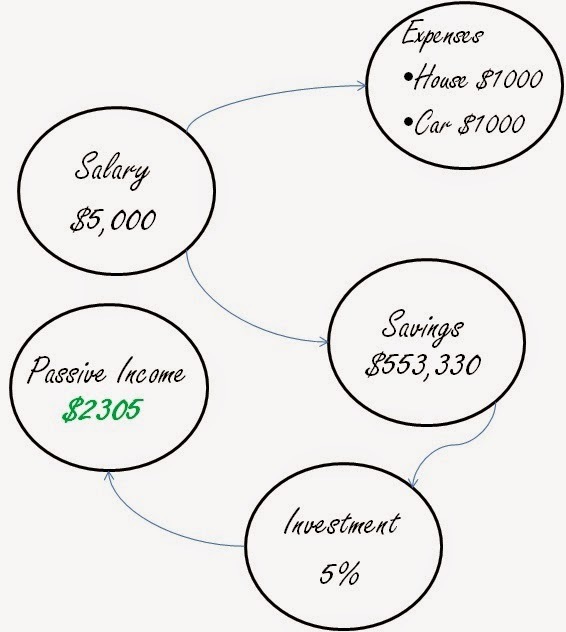 With consistent savings and investment, this person's passive income more than doubled. Money does work harder for you at a compounded rate. 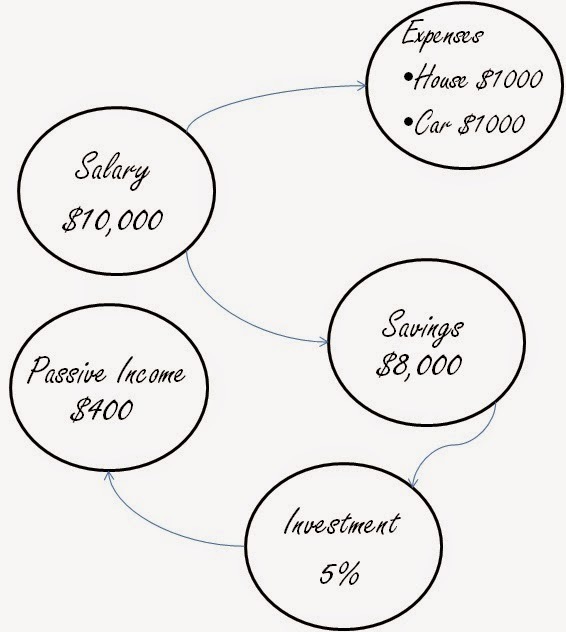 Passive income grows at a compounded rate. 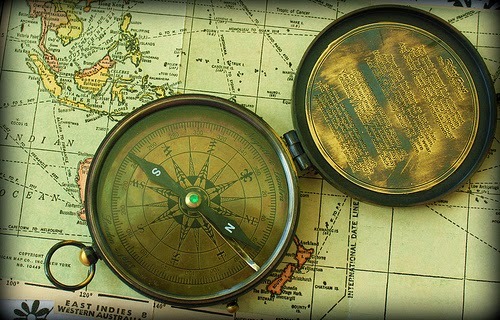 The visionary road is accessible for anyone who diligently seek it. The people on the visionary road focus not on making money but on doing the right things. 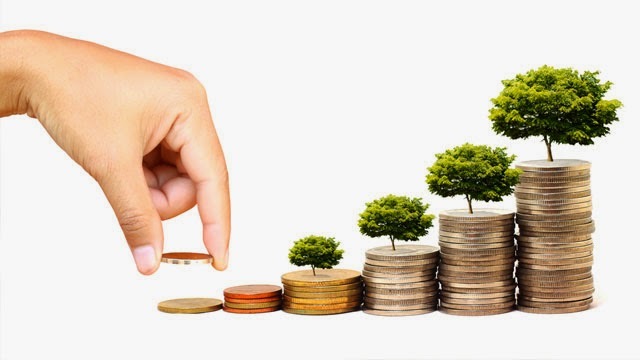 They build a strong base through savings and proper money management then invest the money slowly and steadily. They may only make a few hundred dollars in the first few years then thousands and tens of thousands for the next 10 years and for a lifetime. Do the right things and money will flow into your life. 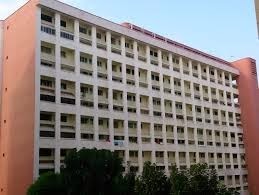 In Singapore, we're so connected to each other that we can access the internet almost everywhere. We can send Whatsapp messages, surf the net, browse our Facebook news feeds, check emails anywhere. Many of us will realise that once we travel overseas, we're constantly looking for wifi hotspots at our hotel, at cafes and we wish that wifi could be everywhere. 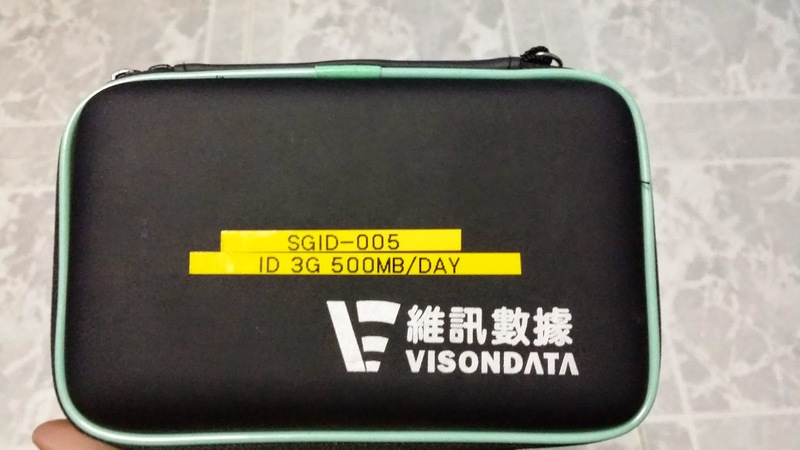 Now its possible with the Pocket Wifi from VisionData Singapore. I was in Jakarta last week and those who read my previous post on what I did during my trip would know that. 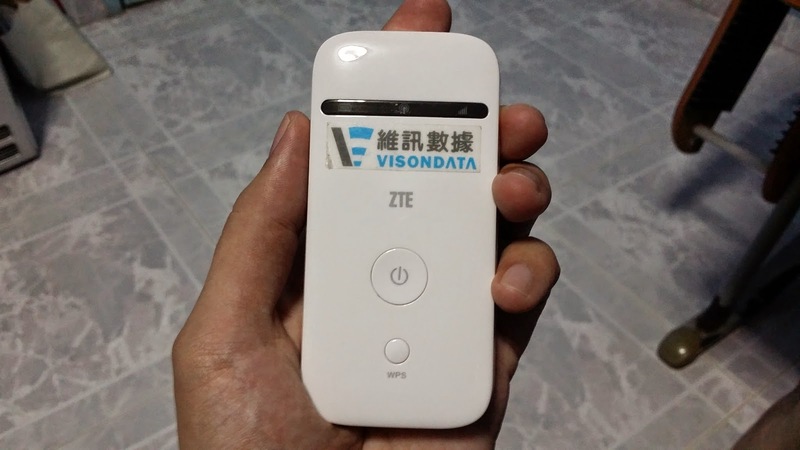 Prior to my trip, coincidently, VisionData contacted me and offer to sponsor to try out their pocket wifi device. I found it interesting so decided to try it out. I'll be writing a review for the product below. VisondataSG (VDS) provides low cost pocket Wifi rental services that covers more than 70 countries. With the Pocket Wifi, customer will be able to stay connected while overseas. The internet browsing speed that you can get solely depends on the network in that particular country. Broadband service speed may vary depending on coverage, location, devices used, network traffic and the type of data being transmitted. The package came in a pouch which was convenient for travel. 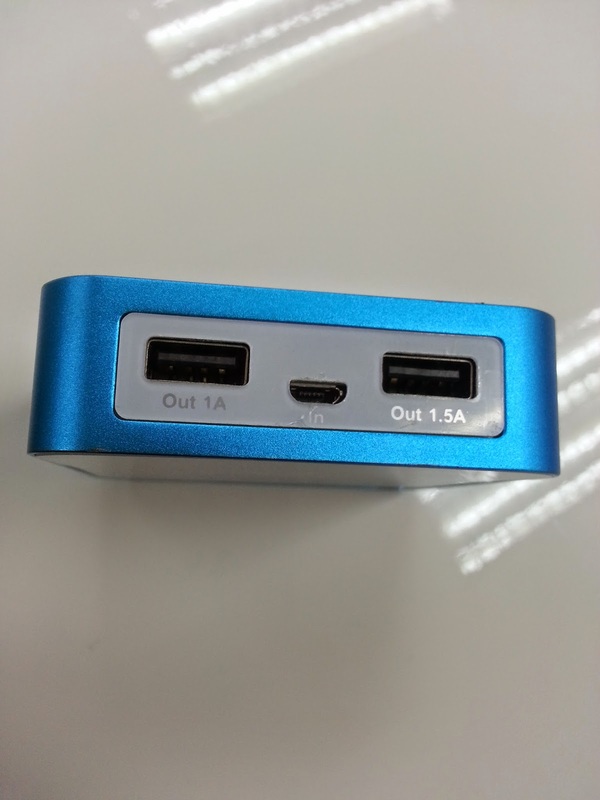 Inside, there's an instruction sheet, the pocket wifi device and a travel adapter charger. The device is small which makes it easy to carry. You can just put it into your pocket and travel around. When I arrived in Jakarta, I switched on the device while taking a taxi to the apartment which I would be staying in. On the taxi itself, I could already browse the internet through the pocket wifi device. My friends were actually quite surprised that such a thing can be done.Yes, the device can be used by more than one person. Each device can actually support 4-6 users. We had 3 phones that were simultaneously connected at the same time and it worked well. 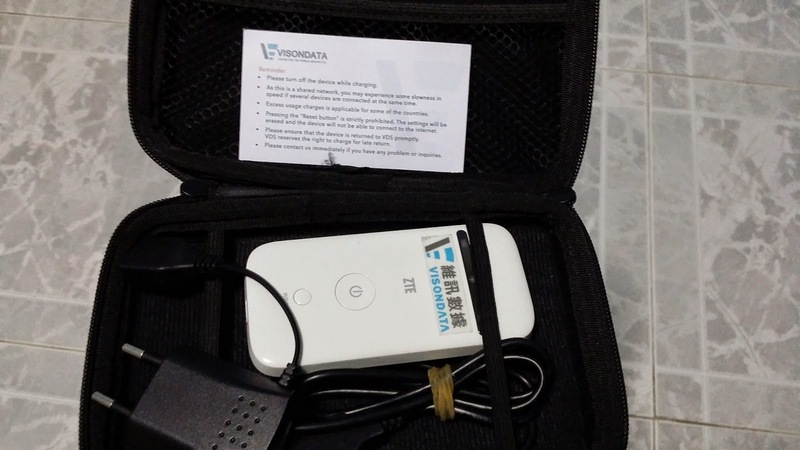 Rental of the pocket wifi from VDS will be cost saving. I saw on their website that the price for Indonesia was $9 a day. Typically, each local Telco will charge $15/day for data roaming. Ordering process is simple as item will be couriered to the designated location two working days before travelling. You can also choose to pick up item from VDS office. 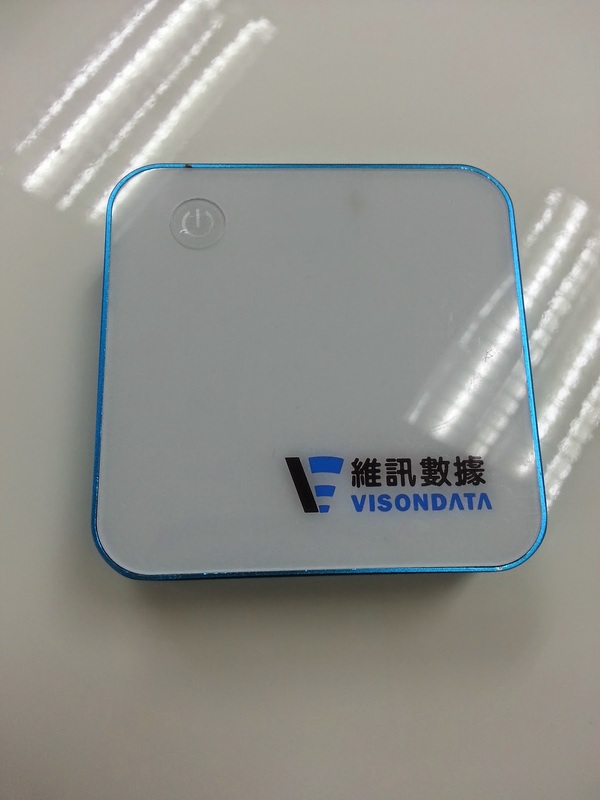 VisonData also offer rental service for their power banks at $2 a day. It has been a while since I submitted a blogpost. 2014 has been a pretty decent year so far even though there were some rough bumps along the way. The POSB Invest Saver, POEMS Share Builders Plan and OCBC BCIP are in my opinion, designed to cater to new and younger investors as they can invest from as low as $100 a month. You might be wondering, what can one buy with $100 a month? As described by the relative offers, it is none other than Index ETF’s. For POSB, they offer just 2; ABF Singapore Bond Index Fund and the Nikko AM STI ETF. 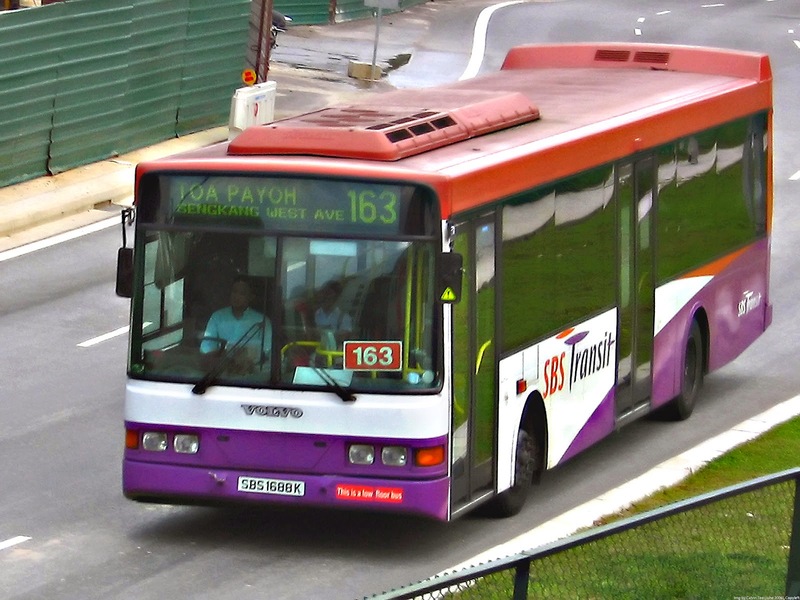 As for OCBC, they offer similar to POSB, but includes 18 other individual counters like ComfortDelGro, Olam International and Wilmar International. POEMS also gives one the option of investing in 19 other individual counters such as CapitaCommercial Trust, SIA, ST Engineering and the like. However, one thing that may be of interest is that POEMS offers the option to reinvest the dividends you earn back into your Regular Savings Plan. Neither POSB nor OCBC has such an option for now. POSB charges a 1% fee on each transaction which is invested into Nikko AM Singapore STI ETF and 0.5% for the ABF Singapore Bond Index Fund. OCBC however, charges 0.3% of each transaction which invested but has a minimum fee of $5 per counter. Unlike POSB, OCBC also charges 0.3% or $5 whichever is higher when you liquidate or sell your positions. Lastly for POEMS, it depends on the investment amount and how many counters you’re investing. If the total invested amount is less than SGD1000, a flat rate of $6 is charged for 1 or 2 counters. But for 3 or more counters, the fee is a flat rate of $10. 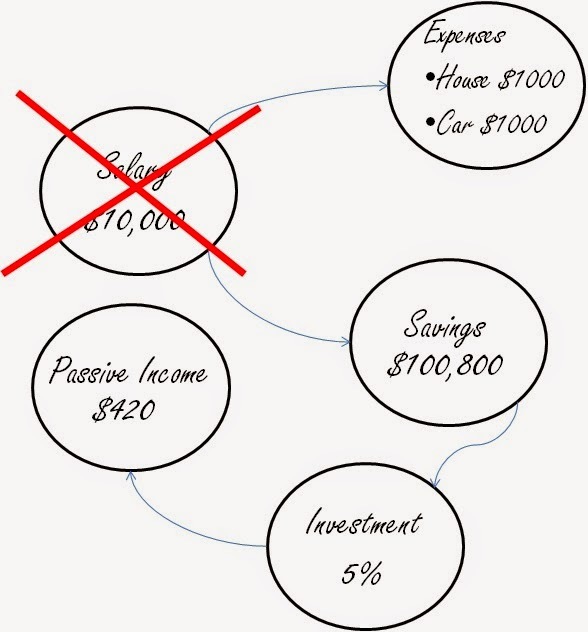 If your investment amount is more than $1000, the charge is 0.2% or $10, whichever is higher. I hope I managed to present the above information in a clear and concise manner. Hopefully this will be easier for the younger readers to comprehend and perhaps help them get started! A big event that is coming is none other than the Chinese New Year! Be sure to have fun visiting friends and relatives but at the same time do note to not gamble too much! It is after all your hard earned money! One thing I learnt in the month of December is that one should always be prepared. I did not prepare my funds and hence missed the boat for 2 very popular blue chips namely Keppel Corp and Sembcorp Marine. I feel that one should always be prepared no matter what as no one can predict what will happen in the coming weeks or even tomorrow. 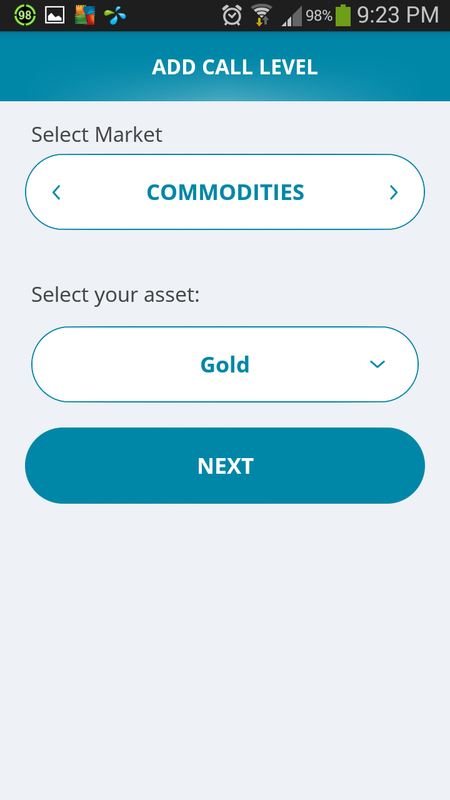 To the younger readers who are interested in investing, or would like to learn more about it, do check out the OCBC Blue Chip Invest Plan or the POSB Invest Saver. Lastly, with the recently short terms rallies in some of the local counters in O&G industries, I’d like to urge all to exercise caution! 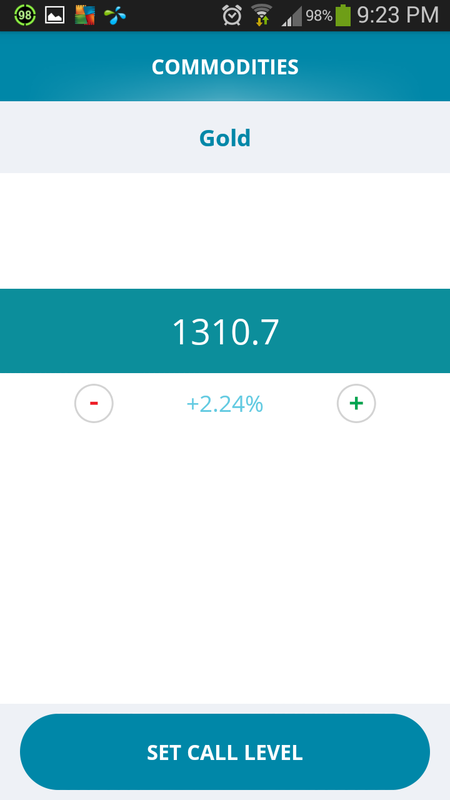 A hearty congratulations to all who took a nice profit this week! May 2015 be better than ever! Index fund investing is also known as passive investing as you can just sign up for the plan and automate it to invest a certain amount on a monthly basis. Over the years, the price of the fund that you invest in will average out because you invest in it no matter when the price is up or down. For example, if you start investing now and the fund price is $3 but when the fund price drops to $2 and you're still investing in it monthly, the price averages out to less than $3. Over the long term when the fund price rises back up to $3 or even higher, you would have made a profit. The key is investing in it for the long term to see the effects of compounded growth. For the case of Keppel Corp and Sembcorp Marine going down, it is actually an opportunity for those investors who have the capital on standby to deploy. Readers who've read my previous post on my Jakarta trip will know that I had personally invested a small amount in Sembcorp Marine when the price went below $3. This can be an opportunity fund that you set aside to take advantage of this kind of opportunities. Knowing how to allocate our investment capital efficiently can be the main factor to success and failure in investing. For myself, I would never invest all my money at once unless during extreme market pessimism. As what Warren Buffett says: "Be fearful when others are greedy and be greedy when others are fearful". Have a good weekend ahead in the first week of 2015!